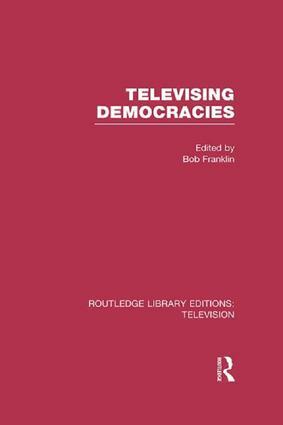 Published in 1992, this was the first book to assess the impact of television broadcasting on the House of Commons and its Member’s behaviour. It looks at the implications for political journalism as well as broader questions concerning the role of media in a democracy. Bringing together contributions from senior broadcasters, politicians from various parties and academics and researchers, the book approaches the issues from a range of different perspectives. The first section of the book focuses on broadcasters’ accounts of the difficulties involved in establishing the structure and organisation of Parliamentary broadcasting, while the second section gives politicians’ own assessments of the consequences of the admission of cameras to the House. The third section looks at the findings of research studies assessing the type of materials broadcast, the impact on political journalism, and audience responses. The fourth section draws comparison with the American, German and European experience of televising democracy. The committees and the cameras: Romeo and Juliet or Cinderella and Prince Channing?